The fourth round of fixtures in the CAF qualifying series for next year’s mundial in Russia was concluded last night and it left us with some very interesting scenarios to look forward to in the final two match-days coming up in October and November. Football on the continent has clearly gotten tougher as no team has been able to book a spot in Russia yet unlike in previous qualifying series where one team at least would have already confirmed their participation in next year’s showpiece. I would be breaking down the scenarios in all five groups, how things stand and what to expect going forward. 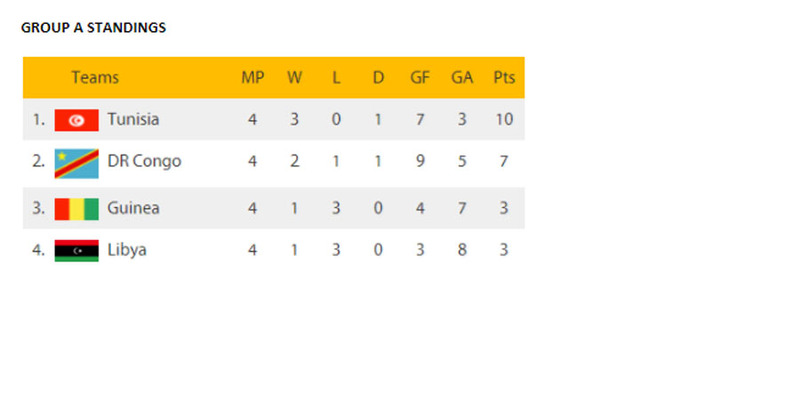 Guinea and Libya are out of the running for qualification in this group and it is now finely poised for the Carthage Eagles of Tunisia to take the sole ticket available as they have a comfortable three point lead over DR Congo after being able to collect four points off the Central Africans in this just concluded double headed series. Tunisia have their fate in their own hands and just need to keep performing like they have done to confirm qualification. Their next opponents will be the Guineans in Conakry and if they can avoid defeat, they will know that a home win over the Libyans on the final match-day will put them in Russia, but if they lose to Guinea and DRC beats Libya on the next match-day, it becomes really dangerous for them as they will be on level on points with DRC and have an inferior goal difference to them, which means that their fate will be out of their hands as even a win over Libya on the final match-day might not be enough for them to qualify and DRC could just be the team going to Russia instead. This is one group we’ll be watching closely. The Desert Foxes of Algeria have been the most disappointing team in this qualifying series and are already out of contention for a place in Russia with two games to go. This is a huge let down for a team that almost knocked out eventual World Champions Germany at the last World Cup. They have looked very uninspired in this series and have only been able to pick up a solitary point from four matches played. The Indomitable Lions of Cameroon, reigning African Champions are also in this group and are also out of contention for the ticket to Russia, which leaves Nigeria and Zambia as the teams battling out for the ticket to Russia. As things stand right now, all the Super Eagles need to do is defeat the Zambian in Uyo next month and they are already in Russia. However, if the Zambians get a victory over the Super Eagles, then it becomes more complicated for Nigeria as a they will need to match Zambia’s result in the final game to have a chance to qualify as it will boil down to goals difference first, then the head-to-head record between both teams, a situation the Nigerians will do well to avoid. 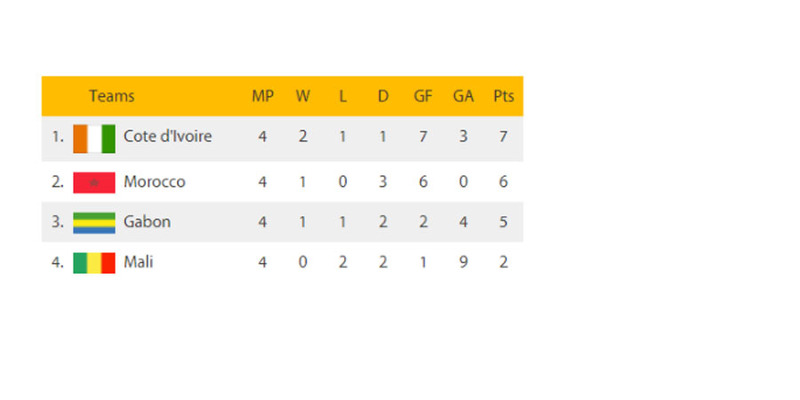 This is a very tight group and the results from this double-headed game week made things even more difficult as the Ivoirians and the Gabonese took three points off each other away from home, while the Moroccans took four points and six goals off the Malians to put them in good position ahead of the final round of fixtures in October and November. The Ivoirians are sitting on top of the table albeit very uncomfortably as they are just one point ahead of the Moroccans and have a tricky tie away to the Malians next, before finishing things with a game against Morocco at home. If they beat Mali away and Morocco fail to win at home against Gabon, then a draw at home against Morocco on the final match-day will be enough to put them in Russia. However, if Morocco beat Gabon at home and Ivory Coast fail to win in Mali, then it will all boil down to that final game against Ivory Coast. Gabon are still in with a chance of qualifying if they beat Morocco and Mali in their final two fixtures and Ivory Coast fail to beat Morocco on the final match day. 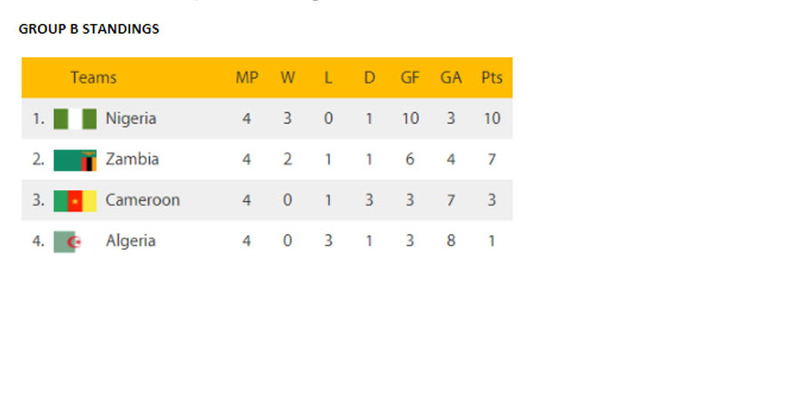 So there’s still all to play for in this group as any of these three teams can still pick the sole ticket available. This group is by far the most open of all the five groups in the qualifying series as all four teams are still in with a chance of qualifying for next year’s World Cup. 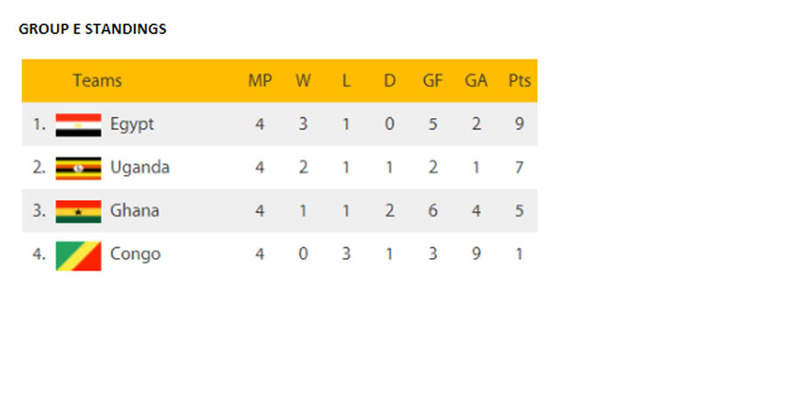 The Stallions of Burkina Faso currently occupy the top spot in the group by virtue of a superior goals difference from the Blue Sharks of Cape Verde. Senegal are in third position with a point behind the top two, while South Africa are a further point behind with four points from four games played. Cape Verde were the biggest winners from this last match-day as they took six points off the South Africans to put them in second place. The next match-day will be very crucial as Burkina Faso will be away to South Africa, while Cape Verde will host Senegal. A win for Burkina Faso and Cape Verde will automatically eliminate South Africa and Senegal from the picture, this is possible but very unlikely and we can’t wait for October to see how it plays out. This is a group we’ll be watching closely. This is also another very interesting group as three teams are still in contention to clinch the sole ticket available to Russia. The Pharaohs of Egypt are in the driving seat in here as a win over Congo at home in the next match-day will see them pick the ticket, provided that the Cranes of Uganda fail to beat the Ghanaians at home. However, if Egypt fail to beat Congo at home and Uganda beats Ghana, then the Ugandans will take over control of the group. For the Black Stars, an Egyptian win over Congo automatically eliminates them from the competition, so their fate isn’t in their hands and it will take Egypt failing to beat Congo for them to have a more realistic chance of making it to Russia. We’ll get a clearer picture after the next set of matches.